There’s no shortage of business tools out there that can help your company with everything from shipping to planning corporate parties. While some of the tools may be invaluable to your company, others may end up costing you more money than they’re worth or requiring more effort to use than just doing a task on your own. As great as some business tools may be, some aren’t worth it. The same goes for business tools available to use for Instagram marketing. 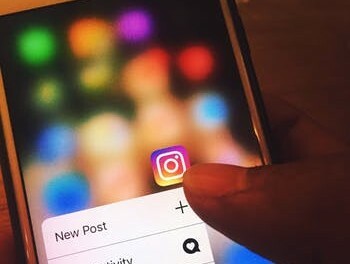 It’s estimated that approximately 71 percent of US businesses use Instagram, which means that there’s quite a market for companies that are creating tools to help those businesses make the most of their Instagram efforts. Not all of those tools are actually useful, though. While many can help and boost efforts, some are more frivolous than they are helpful. So, how do you know which tools can benefit your business and which tools may be less than necessary? Each business is unique, as is each business’s social media marketing strategy, so there may be some tools that benefit your business that won’t benefit someone else’s at all. When deciding which tools to use, you’ll need to take a look at your goals. For example, you know that having at least one hashtag can get your post 12.6 percent more engagement, and if you want to make the most of your hashtags, then you will want to look into the top hashtag tools. There are some general tools that every business can benefit from using, though. Below are some of the top Instagram tools that can benefit your business and that you’ll want to start using if you aren’t already. Instagram Feed WD is a plugin that makes it possible to display images from your Instagram accounts onto your WordPress site. 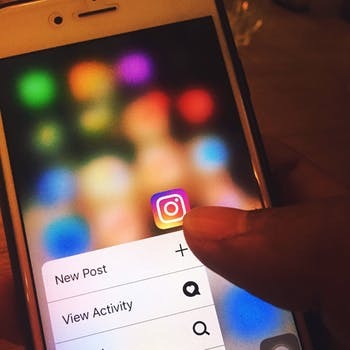 Social engagement is a priority for many businesses, and by using Instagram Feed WD, you can increase that engagement by encouraging social interaction whether visitors are on your site or directly on your social media page. Making that connection between the two makes it easier for your visitors to connect with you on all platforms. Repost is a social media app that makes it quick and easy to capture and share your favorite photos and videos that other Instagrammers posted while still giving credit to the original poster. A big part of building a social media community and increasing engagement is sharing user-generated content and validating the things that they’re posting and sharing. By using Repost, you can do just that without having to go through a complicated, manual process and risk not giving credit where it’s due. Did you know that the average number of likes per Instagram post is 1,261? If your posts usually exceed that, great! If not, though, you probably have some work to do—even if they do you may want to increase your likes as much as possible. LikeSocial is a fantastic tool to grow Instagram likes by getting real likes automatically. With LikeSocial, you don’t have to worry about how much time and effort it will take you to increase your likes; you just let the tool do its thing and watch the likes and views roll in. There are more than 80 million photos uploaded to Instagram every day, and although Instagram does a good job of making it easy for people to discover new people and hashtags to follow, with that much content being uploaded, it can be difficult to stand out. With Over, it gets easier to get your content to stand out from the rest. Over lets you edit photos and place text over the images you have, making them more striking, informative, and helping you stand out. One of the keys to having success on social media is knowing exactly what’s going on with your page, how your posts are performing, what your followers are doing, and what kind of engagement you’re getting. With Social Insight, you can do all of that in one place. The tool lets you schedule and post content, manage and organize your followers, and keep track of engagement and growth from one convenient dashboard. There are plenty of business tools out there that you can use to help your business run more efficiently, but not all tools work as advertised and not all tools are as useful as they may seem. That means that it’s important to use the right tools if you want to make the most of your efforts, especially when it comes to social media. Instead of wasting money and time on tools that don’t do much, using tools like those above can benefit your business and help you start seeing the Instagram growth you want to see. What other Instagram tools is your company using that have made a big difference?